"While some scientists are exploring outer space, it's amazing to think that we're still discovering new things on Earth, like new species of spiders right here in Central Indiana," Cliff Chapman, executive director of the accredited Central Indiana Land Trust, told the Indianapolis Star. The tiny spider, tentatively named Orenoetides sp., measures around 2.5 millimeters. Professor Marc Milne of the University of Indianapolis discovered the spiders on new Central Indiana Land Trust property while participating in a bioblitz to inventory plants, animals and fungi. Milne, a spider specialist, and his team of students took samples back to the university, where months of research determined there was nothing else like these spiders in the world. The spider is only one of several new and endangered species recently found living in the southwest Johnson County area, called the Hills of Gold Core Conservation Area by the land trust. 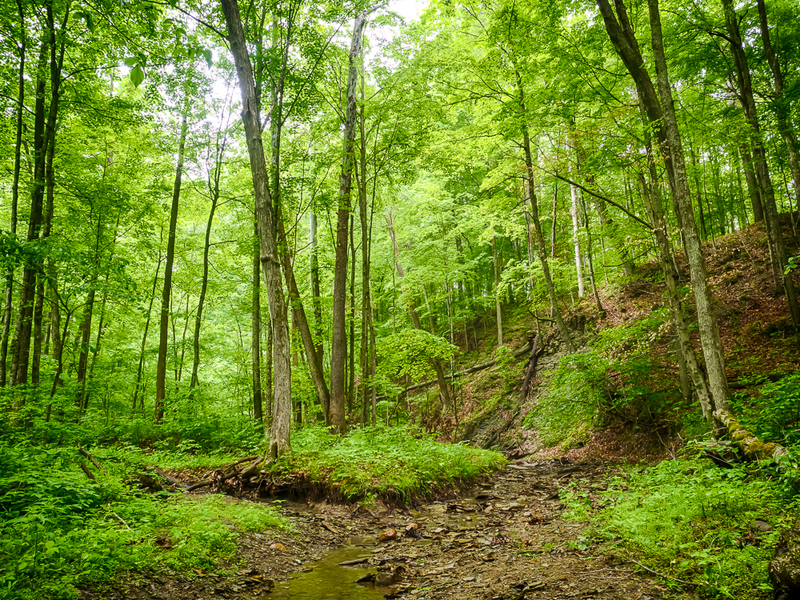 Milne told the Star that 80 to 90 percent of Indiana's forests have been cleared, "so we've probably been losing a lot of species we never even knew existed. Now we're looking at these pockets of forest and starting to find things that have probably been there a long time." The land trust announced the spider discovery as it completes the purchase of an additional 97 acres in the Glacier's End Nature Preserve, a Johnson County property protected in 2016. The trust plans to open Glacier's End for public access in 2018, but Chapman says the property, spiders and all, will be managed with care. "You expect to discover new species in the Amazon Rain Forest or Southeast Asia; this is 35 minutes from Downtown Indianapolis," he told the Star. "There is still so much to be discovered in the natural areas that surround us, but it will all remain undiscovered if we fail to protect those areas."